The Car Wash portion of the business opened in 1992 with 2 self service bays and 1 in bay automatic. In 1995 we added the Spring Water Vending Machine, 1998 added the 3 bay Automotive Service Center. Winter 2013 Auto Service Center 6 bay expansion added a variety of services. No appointments necessary for oil changes. Basic oil and filter generally takes apx.15 to 20 minutes to complete. 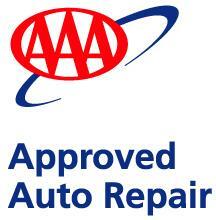 Repair work and State Inspections are usually done by appointments although walk ins are accepted. Our large network of parts suppliers deliver parts we need usually within an hour to get you back on the road as quick as possible. We have a clean and comfortable waiting area with free coffee, T.V.,WiFi, and reading material. Our computerized tracking system tracks your vehicles service maintenance for factory warranty requirements. Give us a try and we're sure you'll be pleased with our fast, professional service.